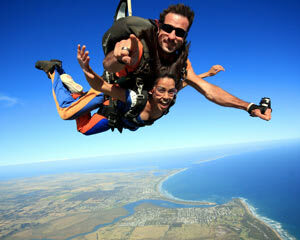 The ultimate adventure, your first Freefall Skydive! Beautiful coastal views of the Great Ocean Road, Bells Beach, Port Phillip Bay and the Melbourne CBD. 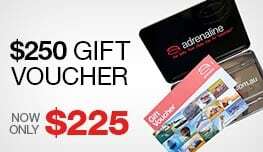 Skydive with beautiful coastal views of the Great Ocean Road, Port Phillip Bay and the Melbourne CBD. Once the briefing is over, it will be time to gear up in preparation for your skydive experience. You will be given a jumpsuit and your instructor will fit you into a harness. You will walk out to the plane and there you will conduct your practice exits. After your safety briefing you'll be suited and booted - then it's time for take-off! Look down during ascent and you will be treated to a stunning coastal views of the Great Ocean Road, Port Phillip Bay and the Melbourne CBD. Once we reach height, the door opens and after 3...2...1 you leave the plane, accelerating through the air reaching terminal velocity - 220km/h. Freefall feels like riding a cushion of air similar to riding a big wave. In freefall, your senses will be able to take in stunning views as far as the eye can see. You can expect to freefall for up to 60 seconds. Then finally it's time to pull your parachute open. From the loud rushing of air that you hear all around you, the parachute ride is very different as you sail around the sky, gliding. 6 - 8 minutes under the parachute gives you enough time to take in the views and come to realisation that you just jumped out of a perfectly good airplane! This was by far the most amazing, thrilling and exciting thing I have ever done! Every step of the process was above and beyond professional which made for a truly amazing experience. I would highly recommend this, t make it better the team on the day were amazing. The process on the day flowed well which was important when you're a little nervy. Loved the adventure. Easy to use the website and a quick buy. 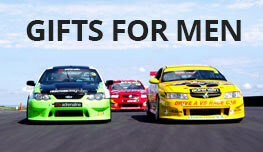 Great prices at the website and all the information is provided regarding the event. The whole operation at Barwon Heads was very professional from beginning to end. I have jumped many times previously, just love the experience and greatly admire the instructors. Fantastic morning Perfect weather ,could not have asked for more. Everything is according to my expectations. No other comments. Enjoyed the experience.